A luxury villa is not just for romantic couples, but the perfect place to stay for a family. With spacious en suite bedrooms, expansive dining and entertaining areas, swimming pools and decks with breath taking views to enjoy family dinners, staying in a luxury villa in Cape Town with your family, will ensure the best holiday ever. Below are just a few suggestions from the wonderful luxury villas that we have on offer. 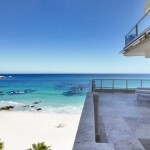 Camps Bay Terrace is an excellent value apartment in Camps Bay’s most prime position. This charming apartment has two lovely en-suite bedrooms, which open up onto the airy, fully equipped entertainment area. Double doors lead from the lounge onto a paved terrace leading to the shared solar heated pool and barbeque area, with gorgeous views of the sparkling Atlantic Ocean. Kernie Cottage is a lovely, newly renovated cottage, offering magnificent views over the Atlantic Ocean. 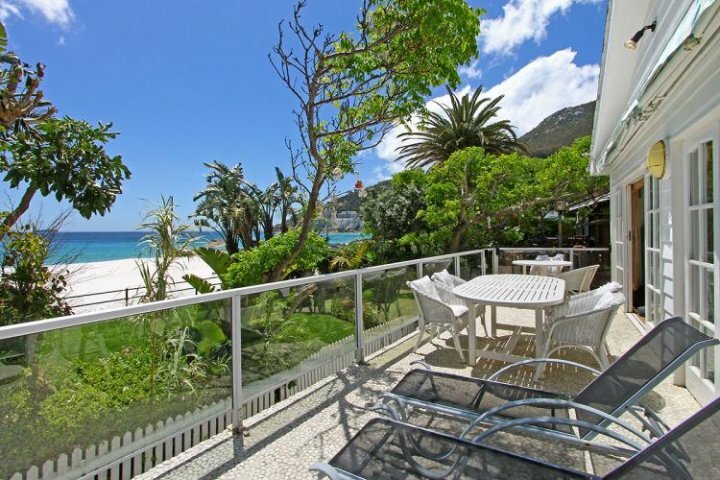 Perfectly situated just 500 meters from the famous Camps Bay beachfront and a great variety of restaurants. The pretty cottage has an upstairs lounge and entertainment area, ideal for family fun and the kitchen leads onto the sundeck with a barbeque area, perfect for family dinners with fantastic views. Sedgemore Vista offers a combination of comfort, spacious interiors and relaxed outdoor living. 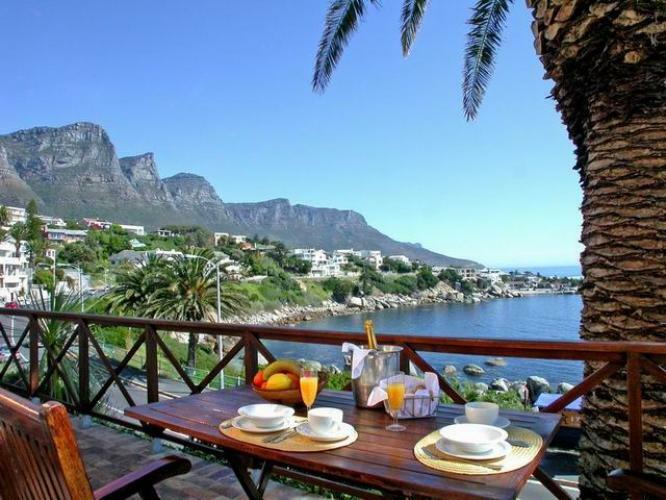 All rooms open onto an outdoor area with views of both the Twelve Apostles Mountains and the Atlantic Ocean. 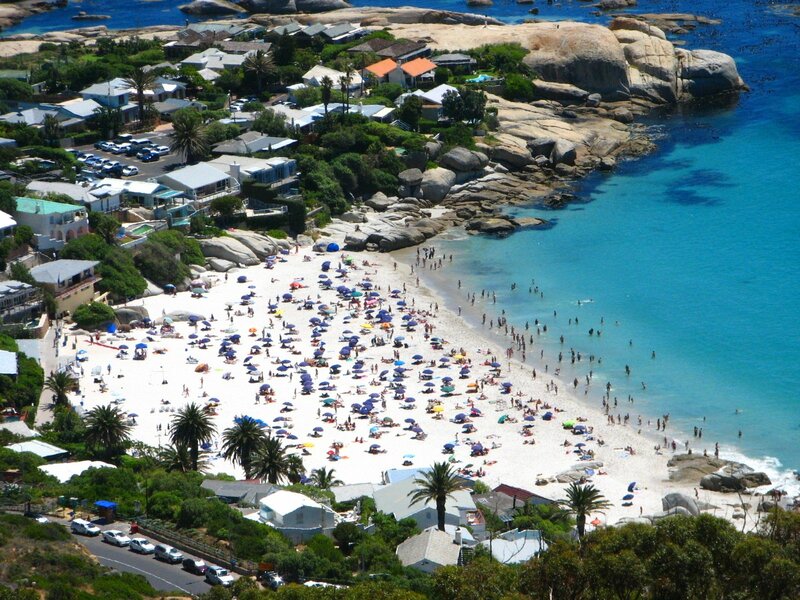 Camps Bay Beach is a short stroll down the hill! Balcony doors lead out onto a wooden deck with a spacious swimming pool – the perfect place for mom and dad to relax and for the kids to splash about in the pool. 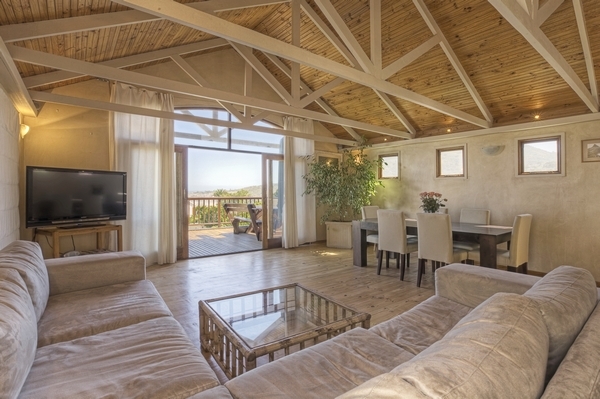 This bright and spacious three-bedroom luxury villa can accommodate six people – perfect for a family vacation. 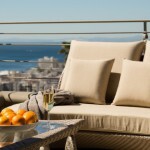 The large, private pool deck offers panoramic views over Camps Bay and promises fun filled family times. Ample living space and a large well-equipped kitchen with a breakfast bar are ideal for family meals. 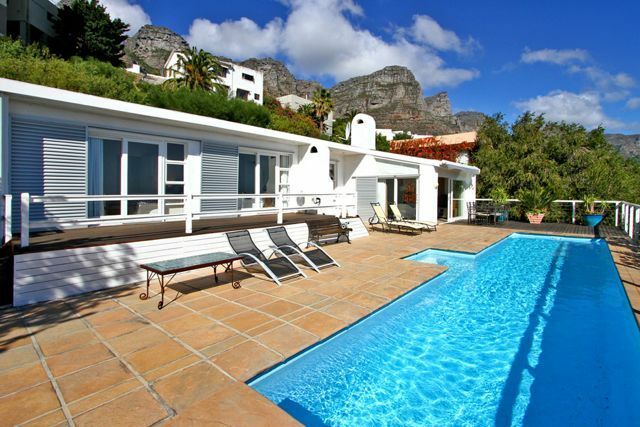 Easy lifestyle and comfortable living in a well-equipped, self-catering family villa in Camps Bay. O’ Reilly’s is spacious, with loads for room for the kids to play in, both inside and in the garden and private swimming pool, with incredible sea and mountain views. Enjoy entertainment for the whole family with a TV, VCR, stereo, Mnet, DSTV, DVD, surround sound and a projection screen.) Please note this villa is not suitable for children under eight years old. As the design capital for 2014, Cape Town prides itself on it’s many local tourist attractions. Here are just a few of the you’re-in-cape-town-so-you-must-see-this list while you’re down visiting. Pristine white sand, crystal clear blue water, record breaking sightings of models… Clifton is rated as one of the most beautiful beaches in the world. So grab your towel and sunscreen and get a tan to go along with all the fun you’ll be having! 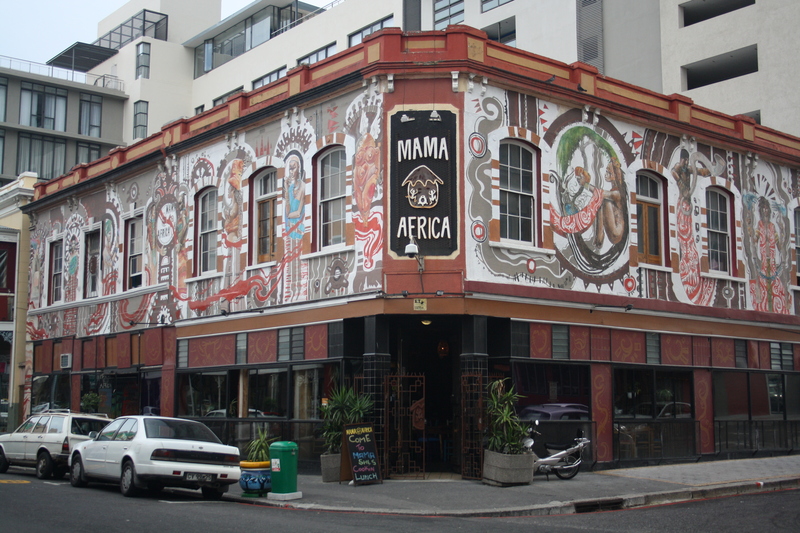 You haven’t truly had a taste of African culture unless you’ve paid a visit to Cape Town’s iconic Long Street. Filled with cafes and restaurants and curiosity shops, this urban stretch is a delightful excursion for the family by day, and raucous party-driven club mile by night. Whether you’re into shopping and trying out tasty new dishes or putting on you’re sexiest outfit and dancing till lunchtime next day, Long Street has everything for everyone. The Waterfront located at Cape Towns harbor is a cultural hotbed of chic restaurants and delightful entertainments. Shop till you drop at the multitude of high-brand stores designed with tasteful yet affordable stock on mind or catch a movie with the partner or kids. There is a large Ferris wheel that allows its passengers to experience the giddy pleasure of viewing the entirety of Cape Town in all its splendid beauty. The feature-du-resistance of Cape Towns silhouette, Table Mountain is something you can’t afford NOT to see when visiting our voluptuous Mother City. Take a cable car up or take the adventurous route and hike up (recommended to do early in the day and bring plenty of water) and be blown away by the magnificent sight of the land from high above. 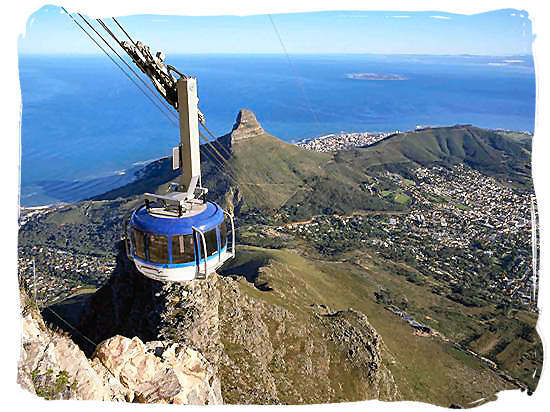 There are restaurant and other facilities established on the plateau atop table mountain so you and your companions can enjoy a delightful lunch on the topmost point of the Cape. Cape Town is calling your name, imploring you to come visit, are you going to answer Her? Book today for the best holiday options. Chic, trend, swank, dapper, voguish…some of the words you hear when seeking a holiday home that should exude class and elegance. 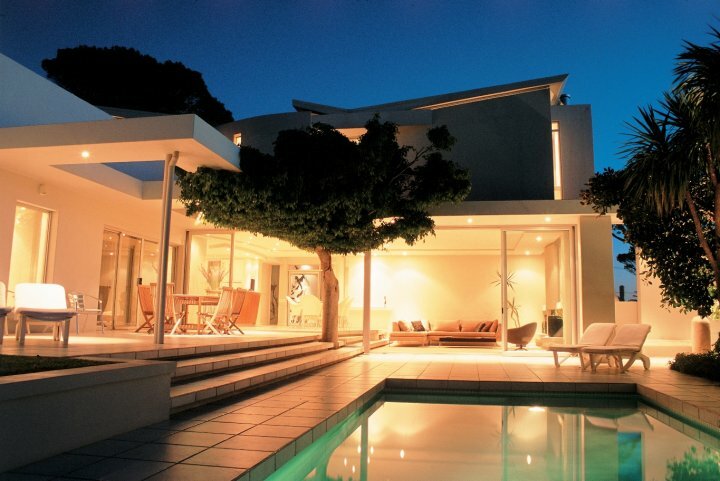 Cape Town is home to an array of finely crafted homes for your vacationing wants. But how would you find the real deal? Here at Luxury Villas Cape Town, we weed out the lesser hopefuls and provide you with the top of the range top of the quality goods. Just approaching such a masterpiece makes one stop and stand in awe of the fine lines and clean open planned look of the place. It’s difficult to know where to start really. The cascading water feature? The opulent white walls in perfect parallel harmony with each other? And that’s just the outside. inside is a kitchenette with private balconies leading to the outside, all ultra-modern and avant-garde. 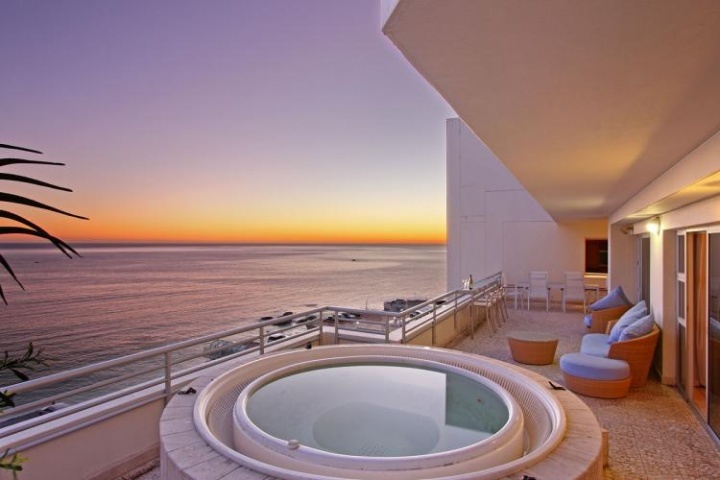 Clifton Sea is one of those Villas that keeps offering without stopping. Fully furnished with the finest of linens and built with contemporary designs in mind this luxurious, stylishly furnished three bedroom Villa is also set sinfully close to all the local attractions. Cape Town City Center and the Waterfront are about 10-15 minutes’ drive away. It has all the state of the art security systems in place to make sure you have nothing to worry about when you go out for the night. Walking in, you are immediately captured by the art decor on the walls, seeming to throb with a life of it’s own. White and dark brown is the inter-playing theme in this Penthouse, furnished with pristine pearl-white furniture and glossy in-laid wooden furniture and counter tops, its a walk-in live-in work of art. Opening up to a balcony constructed of white stone and having white woodwork couches set in a comfortable and companionable fashion, it;s the perfect place to entertain guests for a good old sun downers or to enjoy a meal under the constellations. 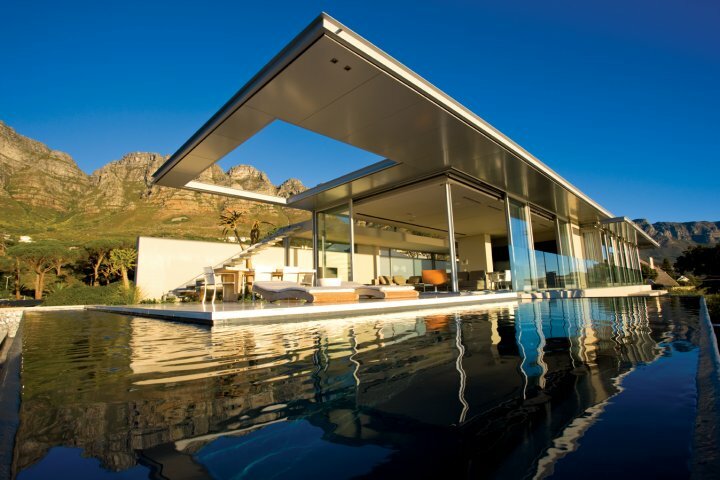 Cape Town has many fine choices on it palate of holiday homes, but if class and proper style is what you truly seek, look no further, Luxury Villas holds all the cards in the game of quality Villas and Penthouses for your holiday needs. 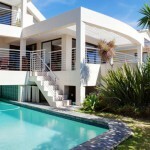 Holidaying in your own private luxury villa is the best way to experience a Cape Town. Clifton is the ultimate location and the five villas below ore the crème del la crème of our luxury villas. 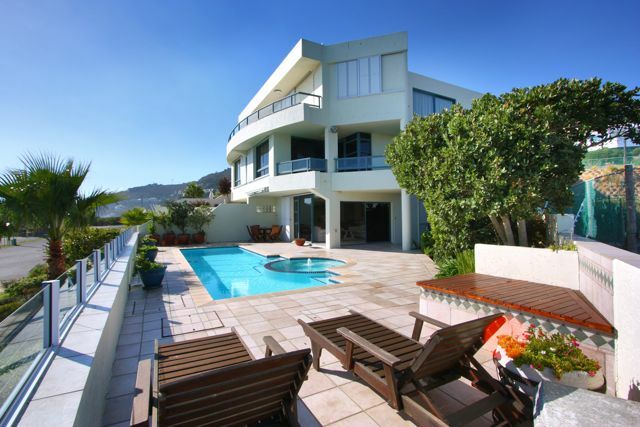 Clifton Villa is a striking and stylish villa overlooking the world-renowned Clifton beach strip. It offers accommodation for twelve people and amazing sea and mountain views. The infinity swimming pool disappears effortlessly into the horizon, and the sweeping balcony takes in gorgeous ocean views. With ample entertainment areas and space for plenty of friends to stay, Clifton Villa is a fantastic place to entertain. The kitchen is fully equipped so you can easily whip up a dinner for guests. A housekeeper will ensure that you’ll have a restful holiday. 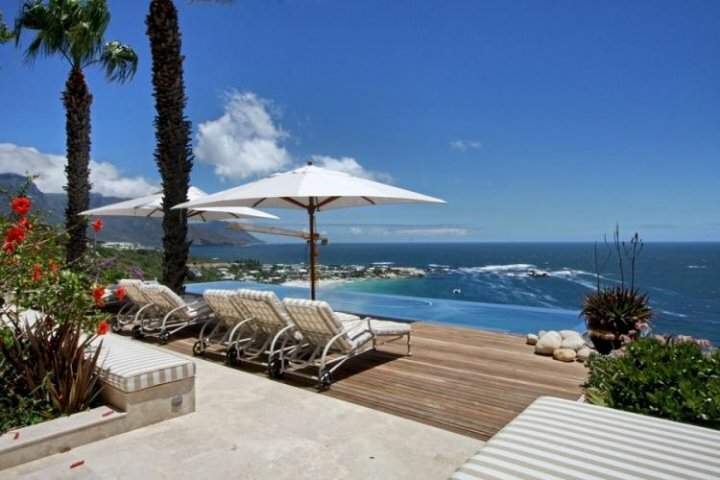 Clifton Luxury Views is a plush villa located in a prime position in upper Clifton. 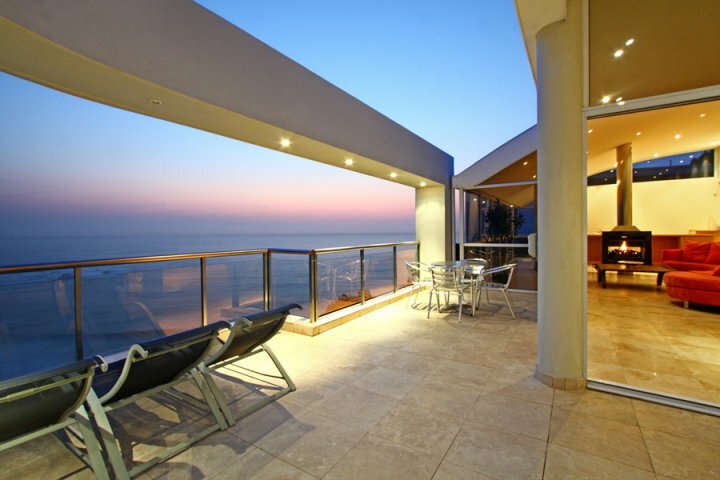 It affords stunning views of the beaches of Clifton, Table Mountain and Lions head. The house flows around a great entertainment area: the spacious living room with fireplace leads onto the outside terrace with spectacular views of the ocean. It is the perfect setting for al fresco dining and sundowners. Open up the patio doors and enjoy the majestic views and fresh sea breeze. Or relax and enjoy the cinema and media room. Clifton Sea offers you the best of everything. 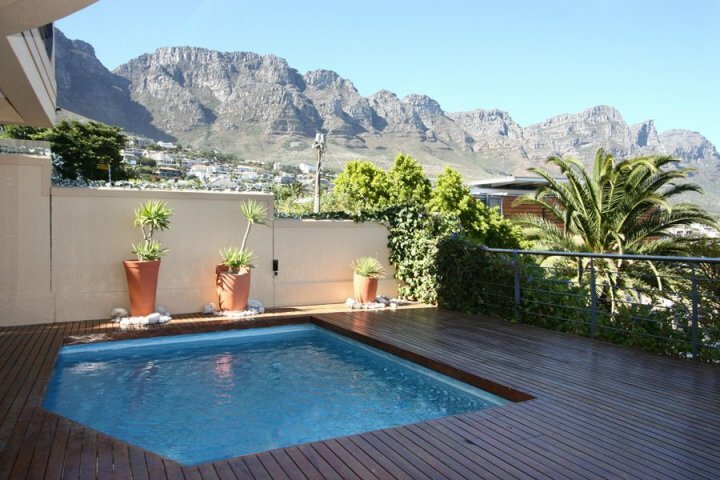 This luxurious, stylishly furnished three-bedroom apartment is set in an excellent location mid-way between picturesque Clifton and Camps Bay. The vacation apartment is on two levels, the lower level presents the spacious dining and entertaining areas and a fully fitted designer kitchen, The living room opens out onto an extensive private sun-deck, with a swimming pool with excellent sea views. Upstairs you’ll find three luxurious bedrooms. 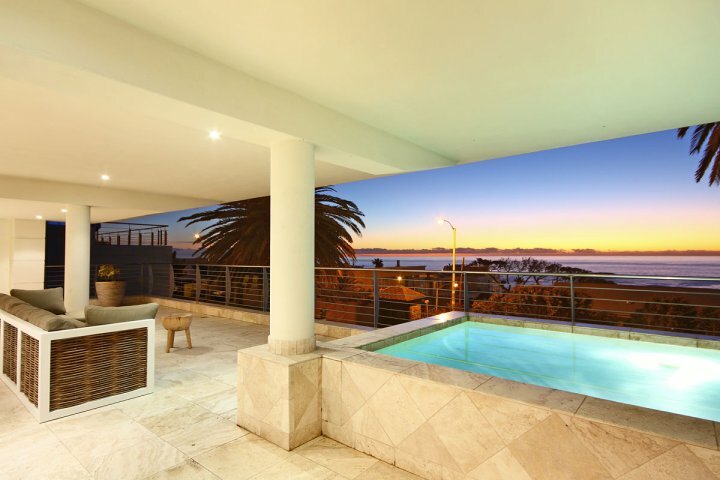 Clifton Penthouse is a lovely three-bedroom apartment in gorgeous Clifton. Relax and soak up the incredible views and fresh sea breeze on the terrace of this luxurious penthouse. There is ample room to entertain on the wonderful terrace with a Jacuzzi to recline in whilst enjoying the view with a cold glass of bubbly. Clifton on the Beach is just that! This gorgeous Clifton bungalow is ten steps away from Clifton 4th Beach. 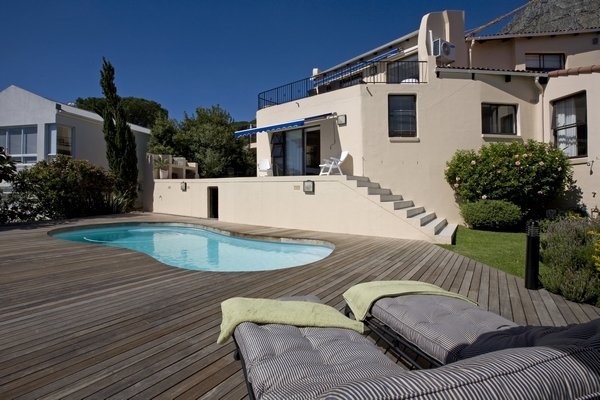 The lovely four-bedroom en-suite villa is fully fitted with all mod cons and boasts full sea-views. On a beautiful evening, lounge on the deck and enjoy a cocktail, then dine al fresco and watch the sun set. Hot Summer nights are made just right (typically medium rare in my tastes) when it’s you, some friends and family, and a pile of meat waiting to be grilled by your patio area with a couple of beers or a glass of wine in hand. This prominent Penthouse offers not only spectacular views and clean cut modern architecture that will leave you open mouthed, but also a well-established shelter to cook and eat your meat. Its braai-place is set to overlook the striking view of both the Camps Bay beach area (which becomes a glowing spectrum of colours when the sun goes down) and the gorgeous view of the twelve apostles’ mountain range. 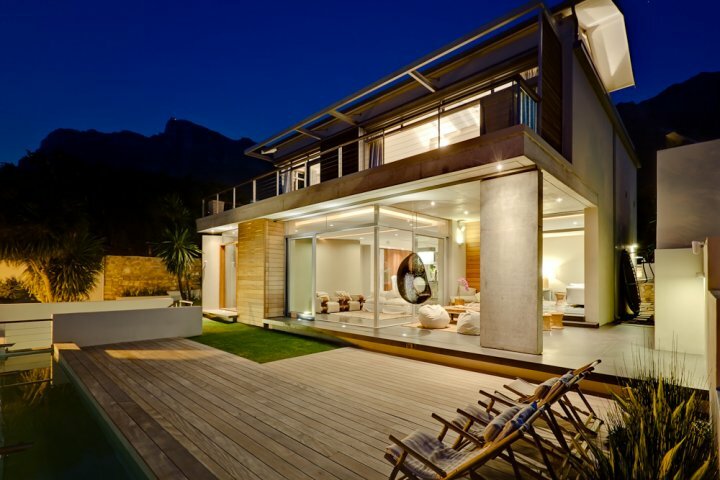 Barbequing with the stars twinkling above and the sounds and smells of the surf crashing against the sandy beaches of Camps Bay Beach is what this Villa offers. Serenity permeating every pore of this location ensures your family and friends a top class place to stay and laugh and talk into the wee hours of the morning. Children splashing about in gleaming pools that seem to sprout from every corner as you and the other adults enjoy an ice cold beverage while talking and laughing as the tender meat sizzles in the built in braai grill. 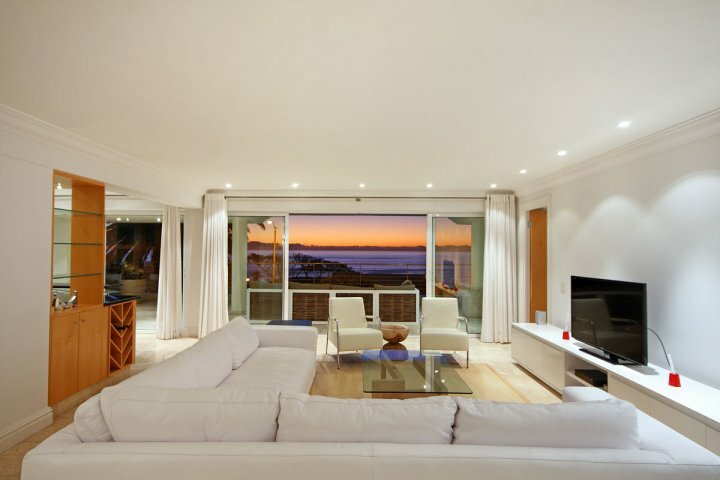 Your guests envy at your beautiful home will be a welcome side dish to your holiday memories of an amazing time spent in Camps Bay with azure waters surrounding you at every turn as well as the gleam of happiness in your family’s eyes. Book today as such Villas and Penthouses are in demand.